Individuals involved in the collapse of construction giant Carillion should face an immediate criminal investigation, a union leader has urged. Unite assistant general secretary Gail Cartmail said the Insolvency Service was only just starting to investigate if laws were broken, eight months after the company went out of business. 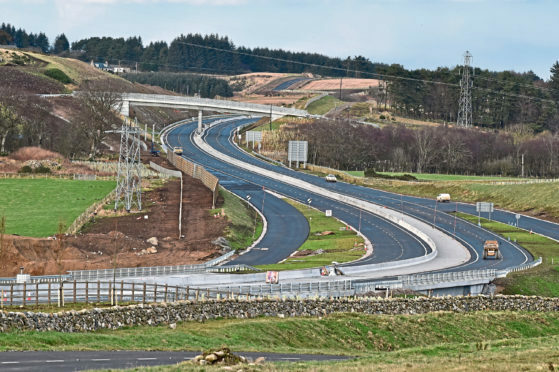 The liquidation of the firm in January had a significant impact upon the construction of the Aberdeen Western Peripheral Route as it was one of three main contractors on the project. It’s woes put pressure on project partners, apparently costing them significant additional sums, and led to claims staff had been left significantly out of pocket. Many other projects around the UK also suffered in the wake of a disintegration that sent shockwaves through the construction sector. Ms Cartmail yesterday told the TUC Congress in Manchester the fledgling investigation was “simply too little too late”. Ms Cartmail added that thousands of workers and apprentices had been “dumped without warning” when Carillion collapsed. “The Government and other organisations are treating Carillion’s collapse as business as normal. “There is nothing normal about the biggest corporate collapse in the UK’s history. “While thousands of workers have been thrown on the scrapheap, those responsible for driving the company into the ditch have dusted themselves off and started again as if nothing had happened. She also questioned why a company losing millions of pounds was shown to be making a profit on paper. “I am advised not to say this was cooking the books, so I won’t,” she added pointedly.